Bethie's Goombay Smash drink recipe made with Cream,Rum,Rum,Rum,Rum,. How to make a Bethie's Goombay Smash with all the instructions and ingredients. In an empty gallon milk jug, mix all of the ingredients together (in any order), close, and shake vigerously. This may be stored for any length of time in a refridgerator. 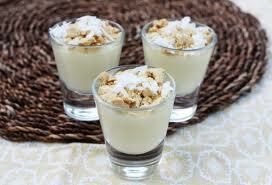 If the mixture begins to look as if it has "spoiled" (the Cream of Coconut seperates from the rum). Don't worry, just shake it up and it's as good as new and ready to drink! Smashed Apple View This Recipe! Smashed Grape View This Recipe! Smashing Pumpkin View This Recipe! Smashsmoosh Jungle Juice View This Recipe! Orange Smasha View This Recipe! Mandrin Cherry Smash View This Recipe! Hulk Smash View This Recipe! Gumbay Smash View This Recipe! Cottage Smasher View This Recipe! Ronnie Cordova View This Recipe!